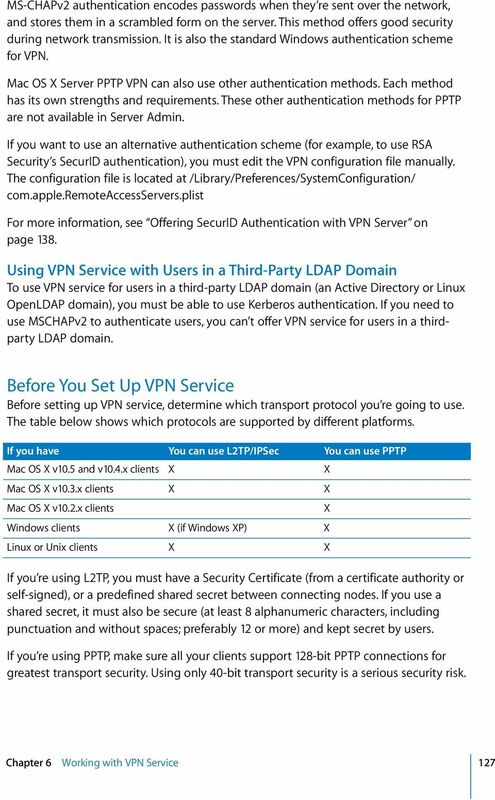 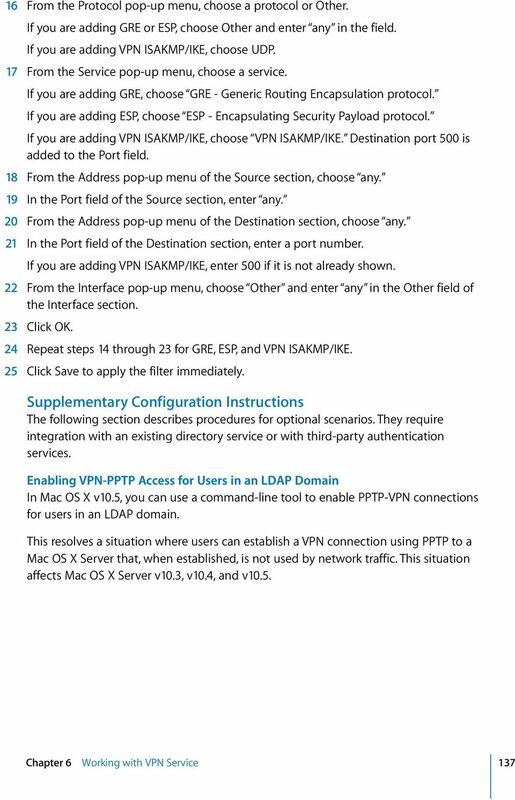 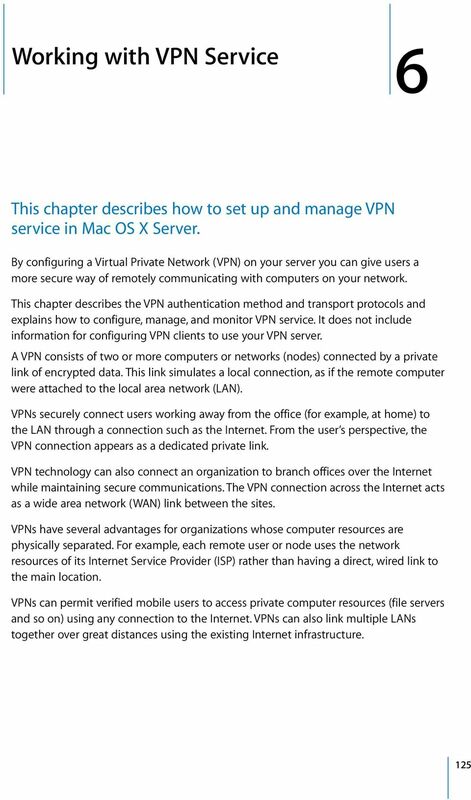 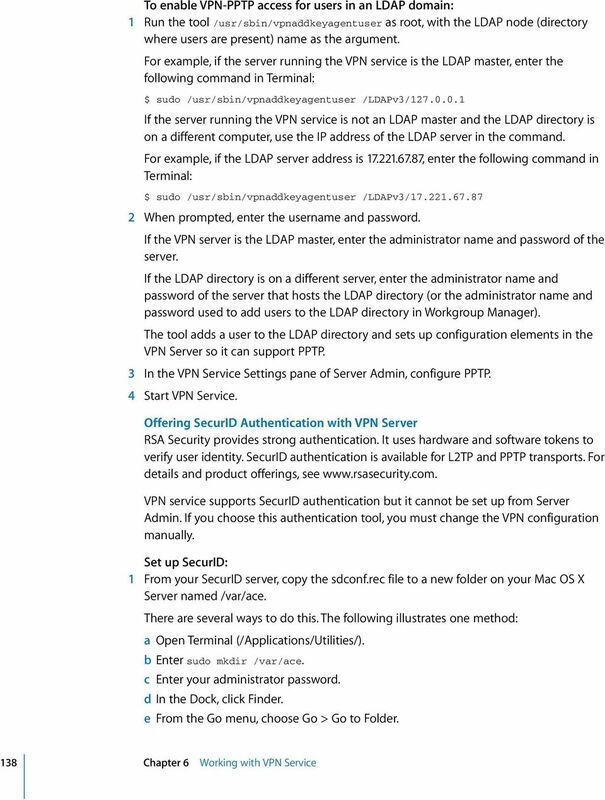 Download "This chapter describes how to set up and manage VPN service in Mac OS X Server." 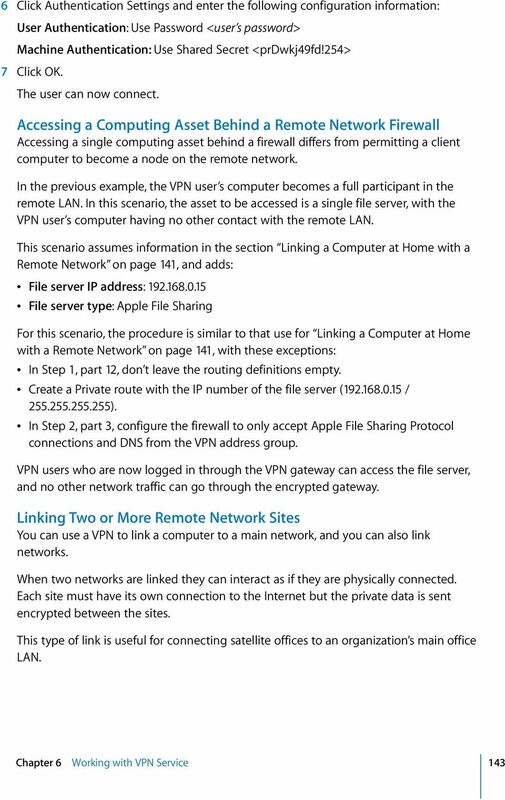 Application Note. 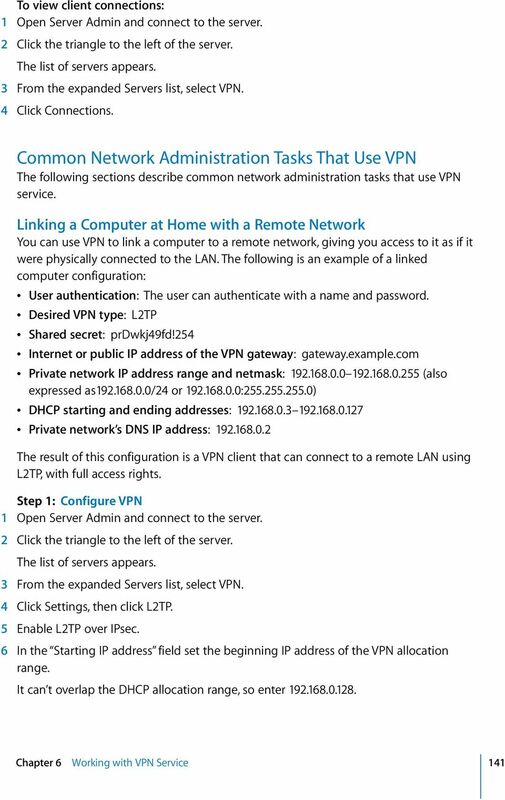 Using a Windows NT Domain / Active Directory for User Authentication NetScreen Devices 8/15/02 Jay Ratford Version 1. 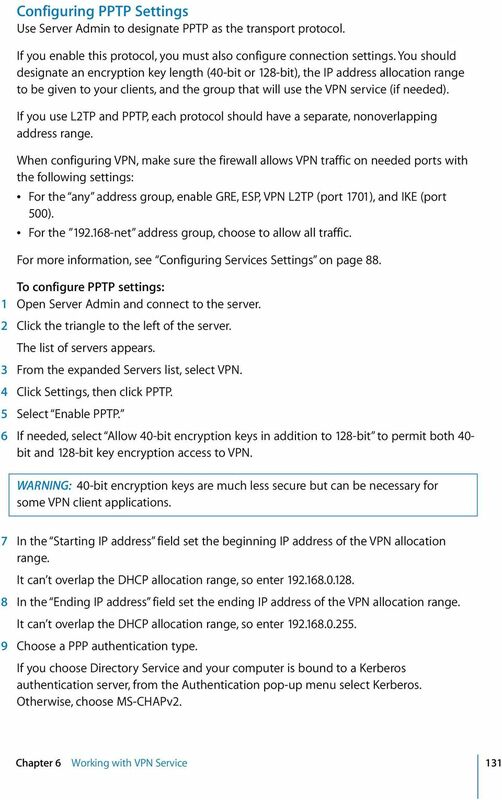 Configuring a Check Point FireWall-1 to SOHO IPSec Tunnel This document describes the procedures required to configure an IPSec VPN tunnel between a WatchGuard SOHO or SOHO tc and a Check Point FireWall-1. 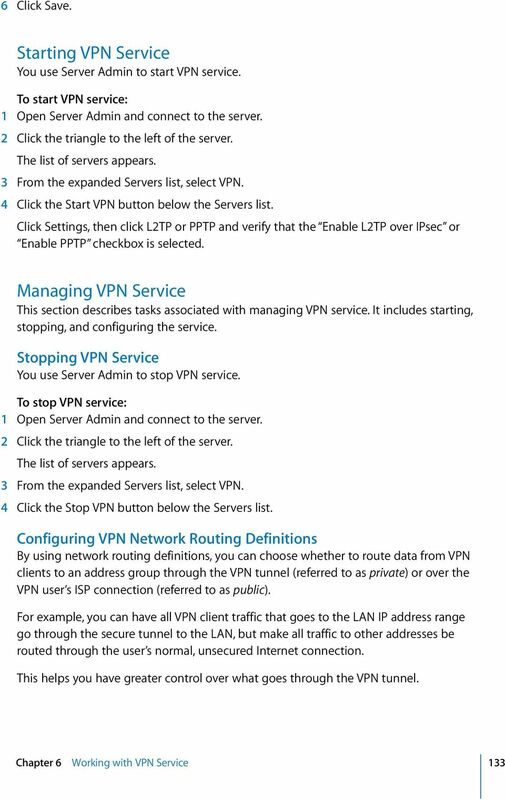 WatchGuard Mobile User VPN Guide Mobile User VPN establishes a secure connection between an unsecured remote host and a protected network over an unsecured network using Internet Protocol Security (IPSec). 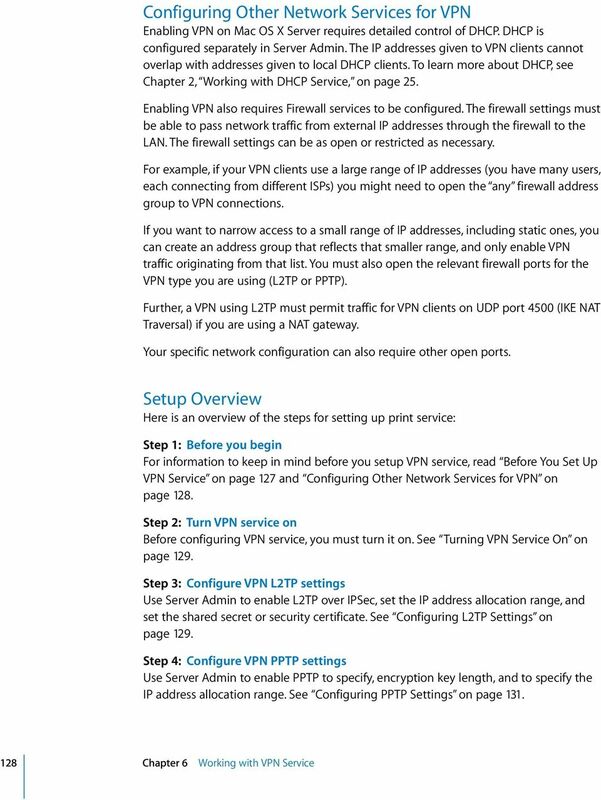 Chapter 2 Connecting the FVX538 to the Internet Typically, six steps are required to complete the basic connection of your firewall. 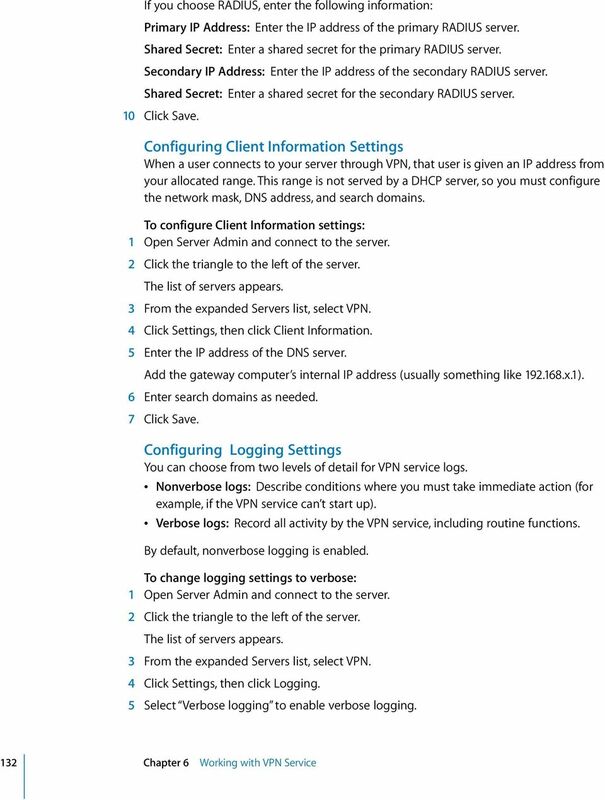 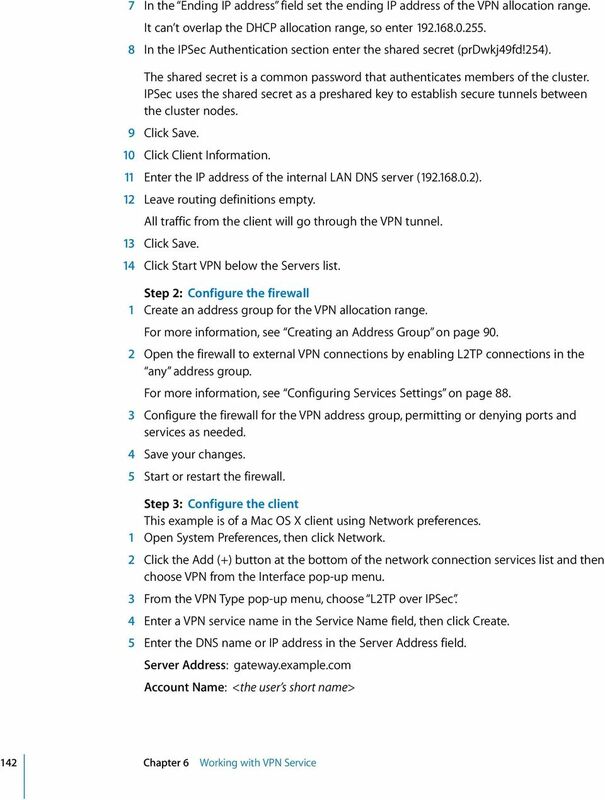 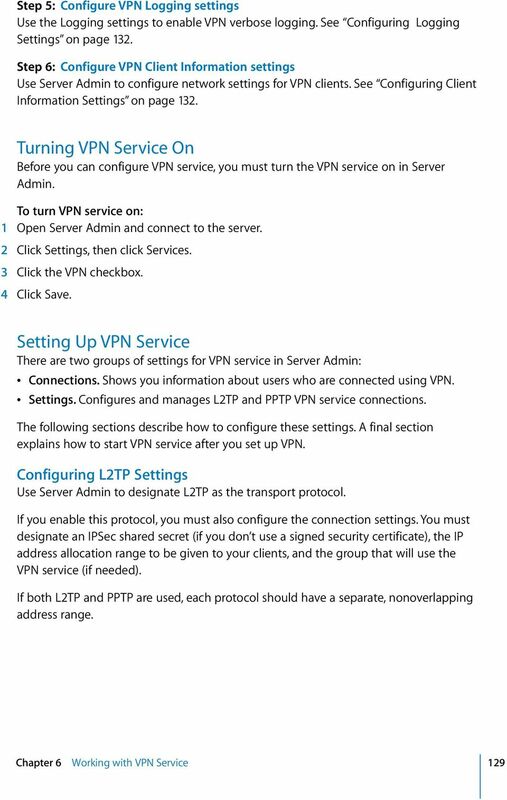 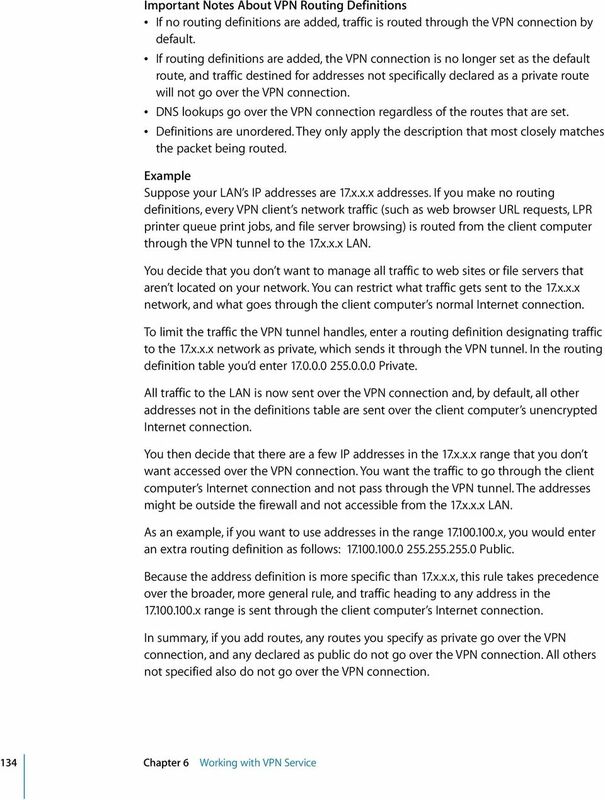 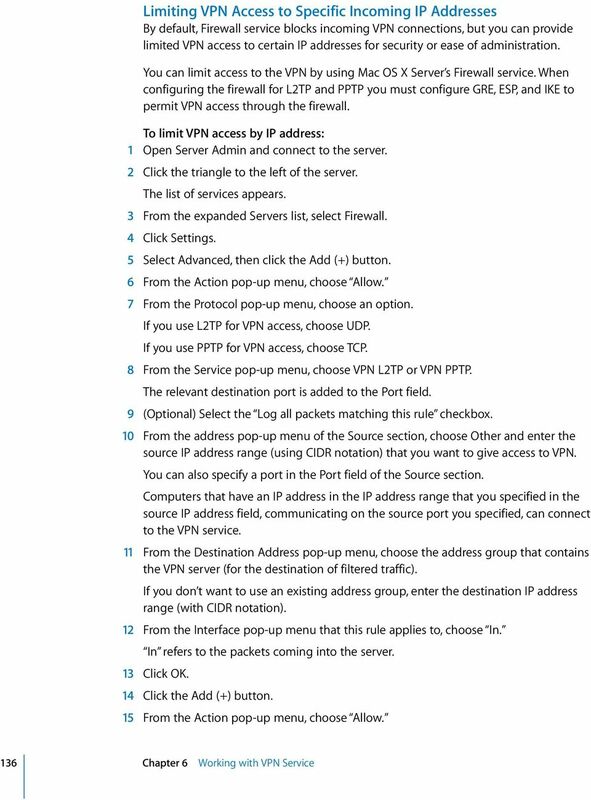 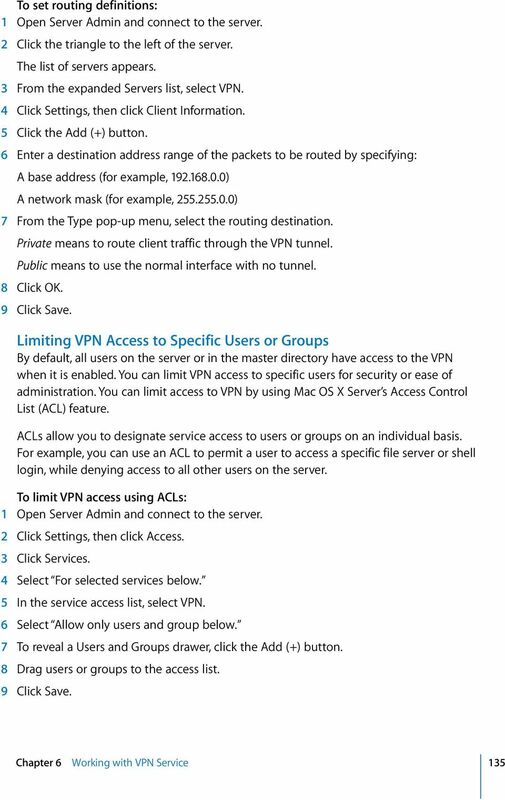 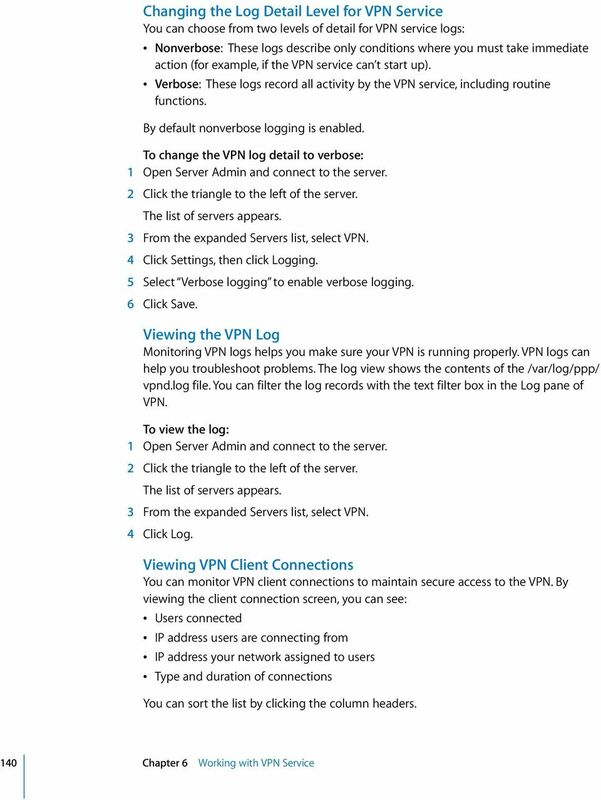 Setting up VPN tunnels are covered in Chapter 5, Virtual Private Networking.